The first issue of Contemporary Japan in 2012 covers a variety of topics ranging from photography, film and TV-series over Japanese popular culture to questions regarding Japanese Democracy. Nissim Kadosh Otmazgin examines the extent to which popular culture can change the perception of a country abroad. Based on questionnaire surveys conducted with university students from Hong Kong, Bangkok, and Seoul, he focuses on the appreciation shown to Japan’s popular culture, and how it shapes young people’s image of the country. Andrea Germer examines the work of photographer Natori Yonosuke (1910-1962), the “godfather” of photojournalism in Japan. She traces Natori’s personal and business connections in Weimar Germany – in particular with his Jewish colleagues and friends, and their critical political situation after the Nazis’ rise to power. Griseldis Kirsch takes up the widespread opinion that Japan fails to come to terms with its own wartime past while Germany is often seen as the model that Japan has to emulate, having penitently accepted responsibility. In her paper, she takes up the example of TV drama and compares the “memory” of the bombings of Dresden and Hiroshima as presented in two TV productions. Ulrich Heinze explores the context and features of the national narrative as presented in Ishihara Shintarō’s 2007 film Ore wa, kimi no tame ni koso shini ni iku (‘I go to die for you’) about kamikaze pilots in World War II. Using Yoshimi Shunya’s idea of television consumption to a “national timetable” in postwar Japan, Heinze argues that rather than being purely nationalistic, Ore is largely autobiographical and nostalgic, and it feminizes the viewer. Finally, Masaru Kohno advances a way of thinking about the quality of Japan’s democratic polity by reviewing a set of constitutive attributes that define and contribute to its governing structure and processes. In particular, he highlights various aspects of “hybrid” institutions and their political consequences, including the coexistence of conflicting governing principles and the unusual procedure for the selection of the prime minister as stipulated in the constitution. Over the past two decades, Japan’s popular culture has been massively disseminated and consumed throughout Northeast and Southeast Asia. A wide range of products, such as music, animation, comics, television programs, fashion magazines, and movies, have been endorsed by local popular culture markets and now constitute an integral part of the cultural lives of many young people in this region. These products not only introduce a multitude of consumption options, but also have an impact on the way young urban consumers imagine and think about Japan. This paper examines the extent to which popular culture can change the perception of a country abroad. Based on questionnaire surveys conducted with university students from Hong Kong, Bangkok, and Seoul, it focuses on the appreciation shown to Japan’s popular culture, and how it shapes young people’s image of the country. The central argument presented is that exposure to Japanese popular culture disseminates new, favorable images, which modify the way the country is perceived. These images arouse feelings of affinity and a sense of proximity, but unlike the “soft power” argument, they are generational, implicit, inconsistent, and subject to different interpretations. As such, the practicality of generating state power in terms of authority or control is doubtful. Keywords: Japan; popular culture; soft power; cultural consumption; image formation. Artists and wartime politics: Natori Yonosuke - a Japanese Riefenstahl? Introducing the techniques of the photojournalism of Weimar Germany to Japan at the beginning of the I930s, photographer Natori Yonosuke (1910-1962) can be called the godfather of photojournalism in Japan. After relocating from Germany to Japan in 1933, his activities until the end of World War II included producing the illustrated propaganda magazine NIPPON (1934-1944), which was geared toward foreign audiences, and publishing a number of other propaganda magazines in occupied East and South East Asia. 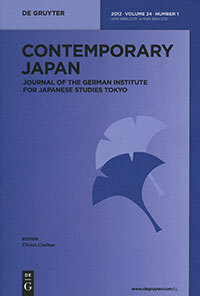 This paper traces Natori’s personal and business connections in Weimar Germany – in particular with his Jewish colleagues and friends, and their critical political situation after the Nazis’ rise to power – and juxtaposes these with Natori’s contributions to the Nazi press, his engagement in cultural exchange between Japan and Germany, and his recommendations of Nazi visual propaganda strategies for Japan in the 1930s. Drawing attention to the transnational and transcultural dimensions of Natori’s wartime politics, this paper argues that his agency needs to be approached not only in terms of Japanese but also of German wartime responsibility. Taking up the theme of Leni Riefenstahl, a major artist engaged in propaganda production for the Nazi regime, who – like Natori – had been aesthetically influenced by the Weimar avant-garde, this article also discusses comparative aspects of artists’ wartime politics and their accountability in the post-war period. Keywords: Natori Yonosuke; photography; Nazi propaganda; Leni Riefenstahl; wartime responsibility. Japan is often blamed for not coming to terms with its own wartime past and for focusing solely on its role as a victim of the war. Germany, however, is often seen as the model that Japan has to emulate, having penitently accepted responsibility. Thus, in order to work out how these popular myths are being perpetuated, the media prove to be a good source of information, since they help to uphold memory and myth at the same time. In this paper, it will be examined how the “memory” of the bombings of Dresden and Hiroshima is being upheld in Japan and Germany – and what kinds of “myths” are being created in the process. In focusing on two TV dramas, it shall be worked out to what extent Japan and Germany are represented as “victims” and to what extent, if at all, the issue of war responsibility features in these dramas. Keywords: Hiroshima; Dresden; war memory; television; television drama. This paper explores the context and features of the national narrative as presented in Ishihara Shintarō’s 2007 film Ore wa, kimi no tame ni koso shini ni iku (‘I go to die for you’) about kamikaze pilots in World War II. Paul Virilio has argued that all battlefields are film sets. Most American war films, whether they take place in the Pacific, Normandy, Vietnam, or Iraq, bear out this statement. Clint Eastwood’s 2006 films Flags of Our Fathers and Letters from Iwo Jima follow the same pattern. Ishihara’s Ore, in contrast, comprises a set of stories intertwined around a woman, Torihama Tome, a mother figure for four young kamikaze pilots, and it takes place mainly in the private family space of her parlor. Ore replaces a masculine narrative of war, one that relies on written reports, with a feminine, oral history, one that hinges on relations to a maternal figure. In terms of genre, the film is a foundling: designed by Ishihara as a response to Eastwood’s films, Ore is in fact a television film, emulating numerous 1960s television serials on memories of war targeted at housewives. Using Yoshimi Shunya’s idea of television consumption to a “national timetable” in postwar Japan, this paper argues that rather than being purely nationalistic, Ore is largely autobiographical and nostalgic, and it feminizes the viewer. Ironically, this may also explain its surrender to Eastwood’s Letters from Iwo Jima at the Japanese box offices. Keywords: Japanese cinema; kamikaze; nationalism; nostalgia; Ishihara Shintarō. This paper advances a way of thinking about the quality of Japan’s democratic polity by reviewing a set of constitutive attributes that define and contribute to its governing structure and processes. In Japan, the basic characteristics that accompany modern democracy, such as rule of law, accountability, responsiveness, individual freedom, and fundamental rights, can be taken for granted. This paper addresses more nuanced features of these characteristics, their historical origins, and how they are born out in the actual working of Japan’s democracy today. In particular, it highlights various aspects of “hybrid” institutions and their political consequences, including the coexistence of conflicting governing principles and the unusual procedure for the selection of the prime minister as stipulated in the constitution. Also discussed are inconsistencies in the electoral rules used for various levels of governments and how they have inhibited the development of political parties and stable party systems. Keywords: Japan; democracy; political system.